Agriculture — The Brice Institute, Inc. The mission of Hawk Mountain Sanctuary Association is to conserve birds of prey worldwide by providing leadership in raptor conservation science and education, and by maintaining Hawk Mountain Sanctuary, a 1,400-acre raptor refuge in eastern Pennsylvania, as a model observation, research and education facility. IFOAM Organics International is the leading federation of organic agriculture movements, associations and networks worldwide. With a broad library of resources in multiple languages, conferences, workshops and events held throughout the world, IFOAM helps empower local stakeholders, strengthen supply chains and raise consumer awareness. As an Affiliate member of IFOAM, the Brice Institute also will help support IFOAM’s goals of helping organic farmers - particularly in low income and developing countries - preserve biodiversity and build resilience against extreme weather and climate change - as well as cultivate a new generation of organic leadership around the globe. The Organic Materials Review Institute (OMRI) was founded in 1997 to evaluate materials for use in organic agriculture. 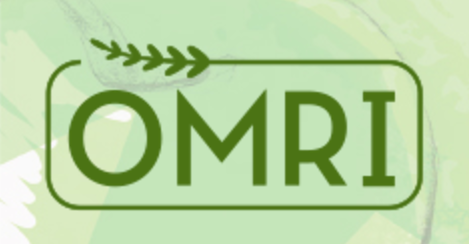 A 501c3 nonprofit organization, OMRI provides organic certifiers, growers, manufacturers and suppliers with an independent review of products intended for use in certified organic production, handling and processing. OMRI’s mission is to support the growth and trust of the global organic community through expert, independent and transparent verification of input materials, and through education and technical assistance. Founded in 2003, Women in Coffee: the International Women’s Coffee Alliance (IWCA) leads women's empowerment in the international coffee industry by supporting and growing a network of self-organized, self-governing, women-led chapters across the globe, and to encourage and recognize the participation of women in all aspects of the coffee industry. The Brice Institute assisted IWCA in the initial funding of a micro-loan program for women coffee farmers.